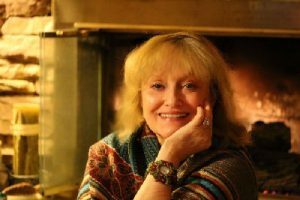 Award winning author Debra Shiveley Welch was born in Columbus, Ohio USA and has lived in the Greater Columbus area all of her life. She now resides in Westerville, Ohio with her husband Mark and son Christopher, also a published author. Debra uses Columbus and Westerville in most of her books, drawing from her experiences and incorporating them into her stories. The winner of multiple awards, Debra is the author of eight books: Circle of Time, Swinging Bridge, Cedar Woman, Spirit Woman, Christopher Meets Buddy, A Very Special Child, Christopher Bullfrog Catcher, written by her son at eleven years of age, and scribed by Debra, who also wrote its introduction, Son of My Soul – The Adoption of Christopher, and Jesus Gandhi Oma Mae Adams, Debra’s first novel, co-authored with Linda Lee Greene. All are available through Amazon and all major online stores. Currently Debra is writing Brave Heart Woman, a sequel to Spirit Woman, Our Family Table, a companion cook book to Son of My Soul – The Adoption of Christopher, which will feature recipes from a Chopped and Chopped Junior champion, Memories of an Old Farmhouse, a micro-memoir about her memories of her family’s ancestral farm and Walking Lisa Home, a about the paranormal. Debra is a Kentucky Colonel, an honorable commission given to people who perform charitable works for their community, a professional poet and an advocate for special needs adoption. I have been writing since age nine. A multi-generational poet, I have always enjoyed the beauty and flow, the cadence and flavor of words. I remember lying upstairs in the old farmhouse, snuggled down in a feather bed, buried beneath layers of homemade quilts. Fully awake, I would listen to my mother, father, grandmother, grandfather, aunts and uncles talking, their voices drifting up to me through the heat vent in the floor. I enjoyed the music of their speech, the meter: the up and down patterns and the various inflections and tones of each individual. Many of the patterns were the same. They were from the same family, after all. But some had moved away, as my mother had, to the “big city” and her speech had changed – evolved. I found this fascinating! Mawmaw says “Well, I’ll red up the table then.” Her voice is deep in her throat, resonant and rich. Mom answers “Okay, Mother. I’ll help you clean up,” this said much lighter and higher in the throat. Aunt Louise replies “Fetch them dishes on over here then, Mam-maw.” Like Mawmaw, she speaks deep within the larynx, emitting the same sonorous sound. Beautiful! Exhilarating! It was difficult to drift off in spite of the caressing feathers and quilts. Who could sleep with this verbal lullaby just one floor below? With this wealth of dialect and poetry surrounding me throughout my childhood, it was no wonder I became a writer. What else could I do but scribe the music of my family’s voice? First, I make a general outline, like a road map. I realize that I will probably exit somewhere and take a detour, but my "map" keeps me heading toward my destination: the ending of my book. I keep a timeline and records of each character – what they look like, when and where they were born and their likes and dislikes. My characters are very real to me and I usually base them off of people I know. I pay close attention to detail. If I mention that it is such-and-such a day, and I use a date, I go online to check out what day of the week it was, and if pertinent, the weather, sometimes even the times of dawn and dusk for that day in that year. For instance, in "Circle of Time," I searched for a calendar for 1536 to find that New Year's Day was on a Wednesday. As for the actual writing, I can't explain it except to say it's almost like automatic writing; it's like someone else has taken over and is writing it for me. When writing, I work an average of ten hours a day. I love it and have wanted to be an author since I was a little girl. I absolutely talk to my characters! When writing my part of "Jesus Gandhi Oma Mae Adams," I apologized and even cried when I had to "kill" one of my favorite characters. I get very involved with the people in my book, and think about them often, even years after a book is written. Eternal beauties have “good bones.” Your book has to have “good bones” to be a good book. That is, good organization, a good outline…a good “skeleton.” Create an outline for your book to keep you on track. It doesn’t mean that the outline can’t change. Sure, you can take detours, but if you write out a “road map” for your work, you won’t get lost before you reach your destination: the end of your book. Write every day. If you are blocked on your current project, write a practice exercise. Keep the juices flowing and your creativity active. Writing is not like riding a bike….if you get lazy and don’t practice, you will lose a lot of your skills. The more you practice, the better you will get, but if you don’t use it, you will lose it. Practice – indulge yourself in writing exercises. For instance, pick up a piece of fruit. Smell it, feel it, taste it. Now write about it. Make your reader smell, feel and taste that piece of fruit. Step outside. What do you see, hear? Describe it so that a reader will feel like they are there. Nothing turns a reader off more than misused words and sloppy spelling and punctuation. Do your homework. If you don't know whether to use breath or breathe, for instance, look it up! Should you use who or whom? Look it up. Don't be sloppy and don't take short cuts. Make sure the word you are using is correct. I once edited a book where the writer wrote, "He made a grand jester." Huh? He made a clown, a comedian? The correct word was, of course, gesture. Don't let editing stifle your writing, however. Write the book out until it is complete, then begin the editing process. I strongly recommend that you find a good editor, however, beware. Have them "audition" by editing two or three pages for you. In the end, you should get a file back with markups on it: corrected spelling, punctuation, etc. Never accept your document back if you do not see that editing has been done. Ask for referrals and then look the books up on Amazon. Read the reviews. Has anyone mentioned sloppy editing? Shop, don't just hire someone. Editing can be expensive, so treat the search like you would search the shelves of a grocery store. Get a good editor at the best price. Finally, and probably most importantly, don't write to make money. Write to be read. Very few of us get rich. I compare us to actors. Ninety five percent of actors are unemployed and about three percent don't earn a living wage. Write for the craft, not the cash. My publisher came recommended to me by another author. I have been with my publishing house since 2006 and will never stray. You may want to self-publish. This cuts out a lot of the royalties taken by another entity, which means more money in your pocket. Some say that the written word is dying. I don't believe it. Yes, there will be challenges, but people like to be told stories…it's in our DNA. There will always be some form of book publishing out there. When i was young it was the printed page, then along came the eBook and audio books. Maybe the future holds hologram versions of the novel, who knows, but we'll always want our story tellers to weave their craft.